A Coif is a close fitting cap that covers the top, back, and sides of the head. Coifs were worn by all classes in England and Scotland from the Middle Ages to the early 17th century, and later as an old-fashioned cap for countrywomen and children. 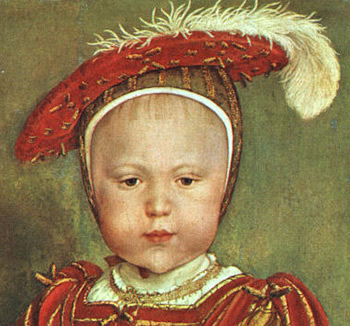 Tudor and earlier coifs are usually made of unadorned white linen and tie under the chin. In the Elizabethan and early Jacobean eras, coifs were frequently decorated with blackwork embroidery and lace edging. In England, coifs were also worn by an extinct senior grade of lawyer, the Serjeant-at-Law. The religious habit of Catholic nuns includes a coif as a headpiece, along with the white cotton cap secured by a bandeau, a white wimple or guimpe of starched linen, cotton, or polyester to cover the cheeks and neck, and is sometimes covered by a thin layer of black crape. Coifs were worn under gable hoods and hats of all sorts, and alone as indoor headcoverings. Coifs were also a type of armour, traditionally made of mail, which covered the head, neck and shoulders.